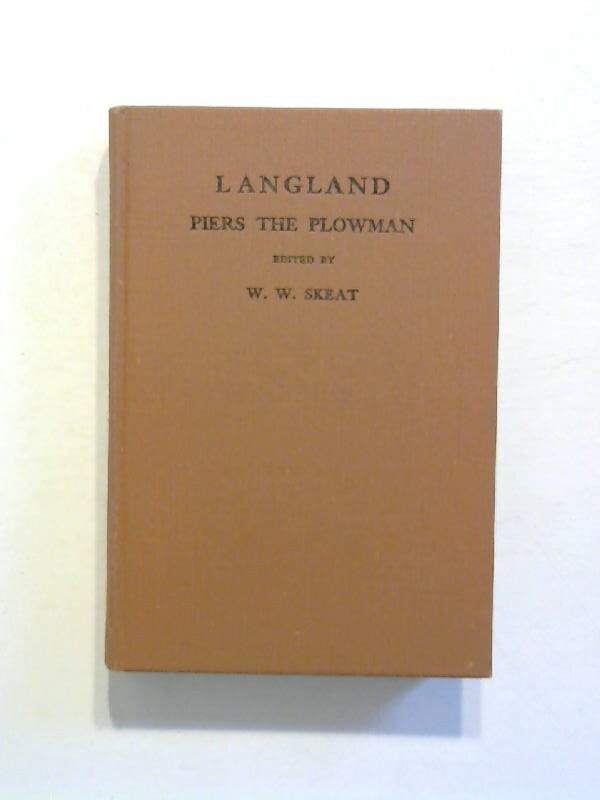 Langland, William: Piers Plowman. An Alliterative Verse Translation by E. Tolbat Donaldson. Ed. by Elisabeth D. Kirk and Judith H. Anderson. New York, Norton 1990. 259 S. Oln. LANGLAND, WILLIAM. The Vision of William concerning Piers the Plowman. Oxford. Clarendon Press. xlviii+216pp. Cloth. Edited by Walter W. Skeat. 10th edn revised. Inside back cover torn. Pen notes and underlining in text. Covers little marked. Fair. 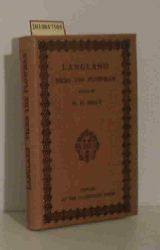 Langland, William: The Vision of Piers Plowman. [By William Langland]. Newly rendered into modern English by Henry W. Wells. London & New York: Sheed & Ward 1959. XXIX, 304 Seiten. Gr. 8ºAntikbuch24-SchnellhilfeOktav = Höhe des Buchrücken 18,5-22,5 cm (22,5-25 cm). Orig.-Pappband mit Orig.-Schutzumschlag. [Hardcover / fest gebunden]. Dust jacket slightly rubbed. With a few pencil marks and notes. - Still very good copy. 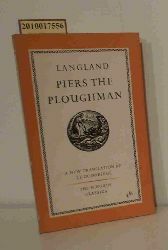 Langland, William and Walter W. Skeat: Piers the Plowman. 10th ed., rev. Oxford, Clarendon Press, 1962. 216 Seiten Gebundene Ausgabe Gut erhalten, Ecken und Kanten leicht berieben, N.a.V. Langland, William (Verf.) and Walter W. Skeat (Hrsg. 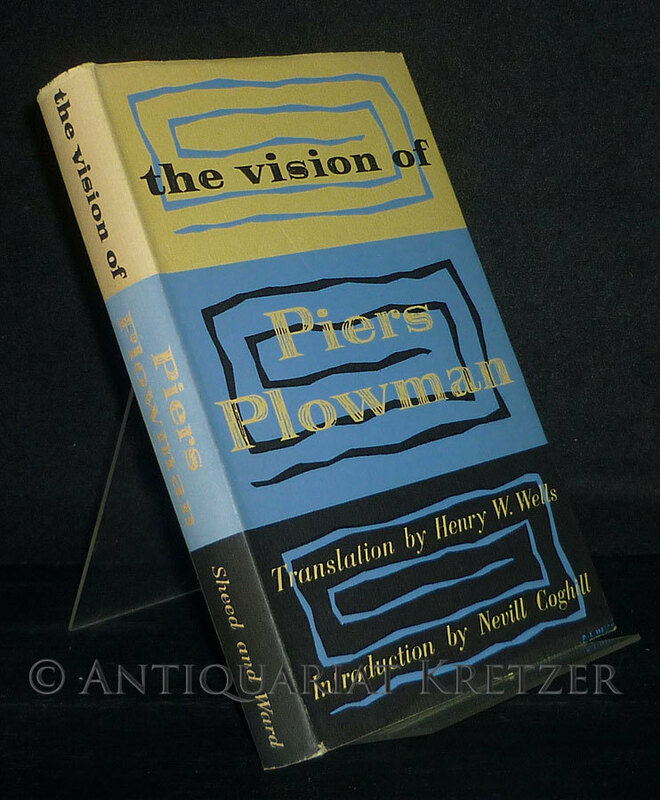 ): The Vision of William Concerning Piers the Plowman together with Richard the Redeless by William Langland. 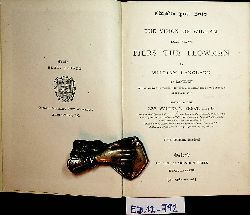 [2 Volumes]. Edited from numerous manuscripts, with preface, notes, and a glossary by the Rev. Walter W. Skeat. - Vol. 1: Text. - Vol. 2: Introduction, Notes and Glossary. 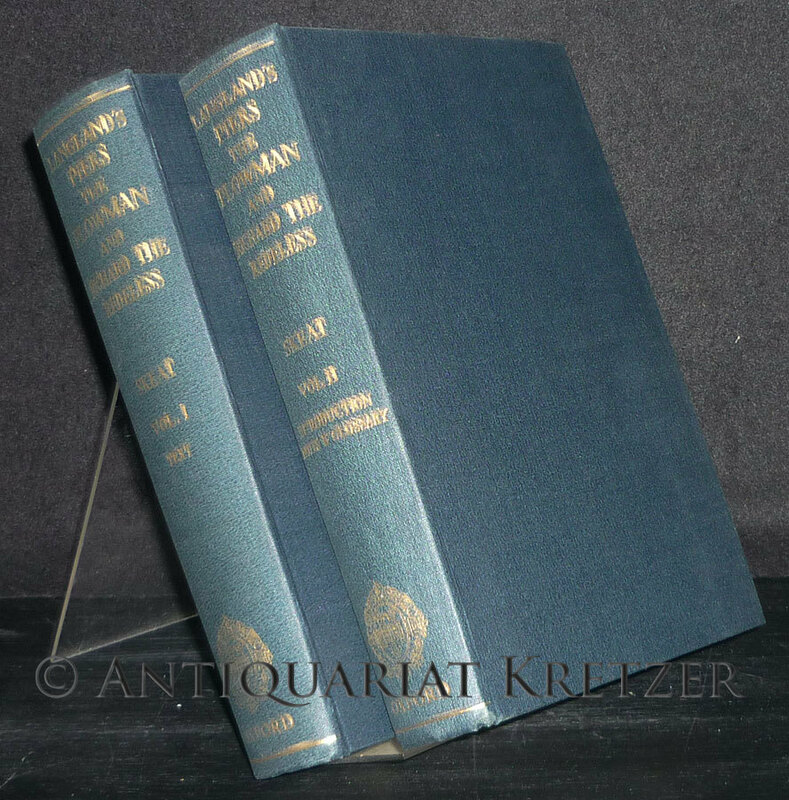 2 Bände/Volumes (= vollständig/complete). / Reprinted. Oxford: University Press 1961. VI, 628; CII, 484 Seiten. 8ºAntikbuch24-SchnellhilfeOktav = Höhe des Buchrücken 18,5-22,5 cm (17,5-22,5 cm). Orig.-Leinenbände mit goldgeprägtem Rücken. [Hardcover / fest gebunden]. Hinge of volume 2 partly splitted. With a few pencil marks and notes in both volumes. - Still very good copy.